It was yesterday that www.islandstats.com reported DeSilva-Andrade played her final game yesterday narrowly losing 3-2 to World Number 9 Nelson Fernandez from Portugal. 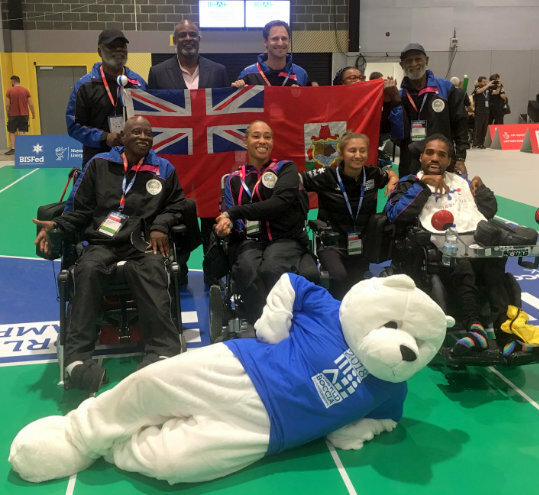 “Many of the games they played were close and other countries are now taking note of Bermuda. I am very proud of our performance as the athletes have shown tremendous dedication to training in the lead up to this competition - training 15 hours a week - and the hard work is paying off,” continued Farnsworth.